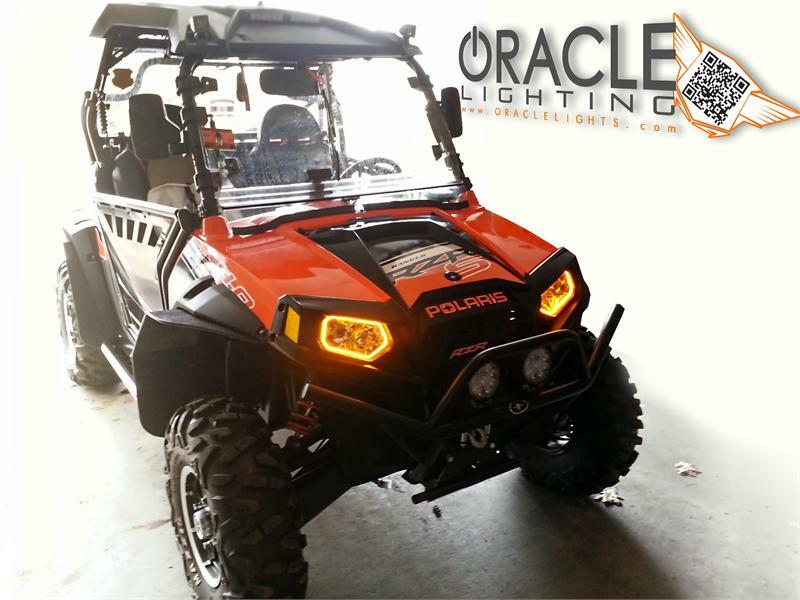 Plasma Halo Kits by Oracle Lighting are taking the automotive aftermarket by storm. Installing Plasma Halo Lights inside your headlights will instantly change the entire appearance of your vehicle, especially at night. Oracle Plasma Halo Kits use a rigid PCB covered in lights, meaning the halo rings will not break and the light shines directionally forward. The halo rings have an industrial grade self adhesive backing, so they easily install inside your headlight (once you complete the much more difficult process of opening your headlight assembly). 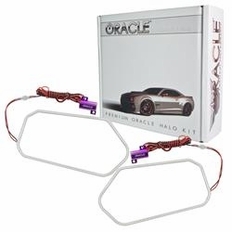 Oracle Halo rings can be wired to a switch for manual control or wired to your parking lights for automatic operation. Approx. 100,000 hour lifetime. 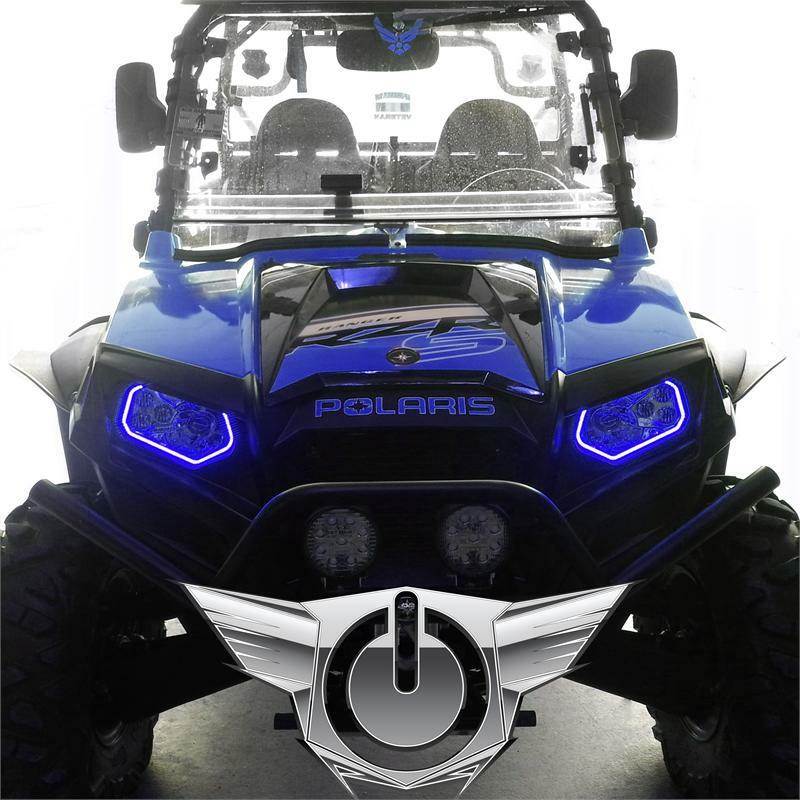 This Plasma Halo Light Kit fits 2007-2013 Polaris RZR models and comes with the halo rings to install inside of both headlights. 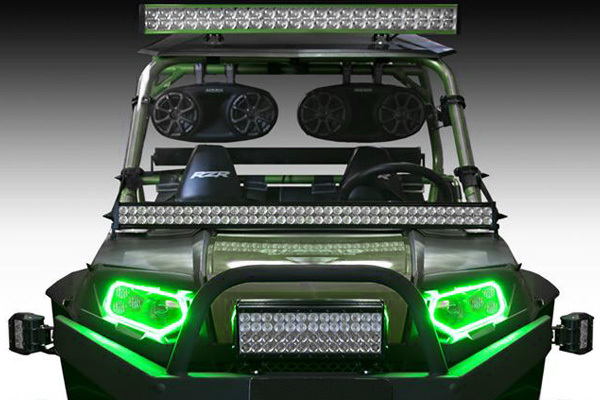 Foglight halos are not included and are sold separately.